Risotto is a lovely, comforting dish to cook in colder months. 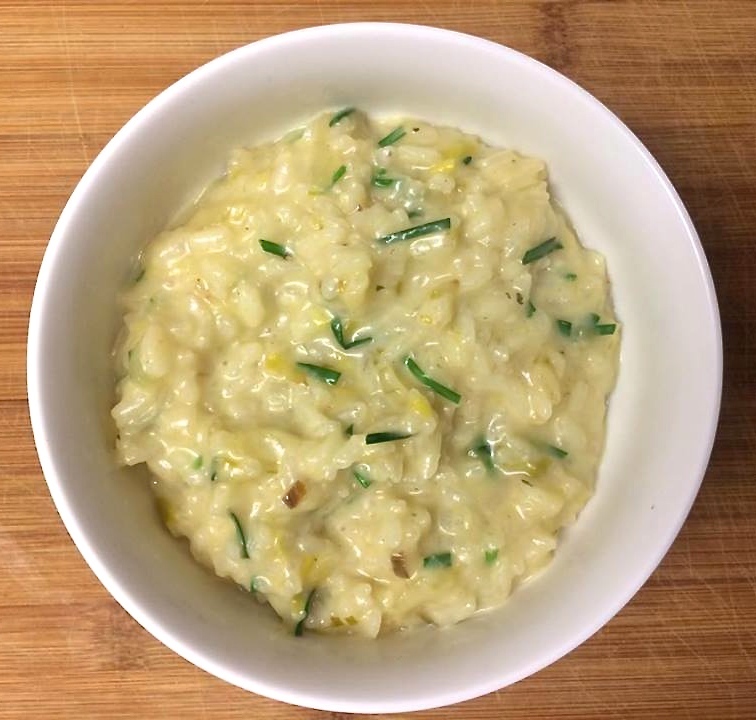 This one is a little bit ‘Nigel Slater’ inspired, using mostly traditionally British ingredients such as onions, leeks, cheddar and chives for a lovely creamy risotto. You can use the basic recipe of butter, oil, rice, celery, onion and cheese as a base for other variations, such as a more traditional risotto Milanese or just add whichever veg or cheese is your favourite. Although I like eating this with some healthy dark greens such as kale or cavolo nero, a bit of spelt or sourdough bread wouldn’t go amiss either! Heat a large non stick saucepan on a medium-low heat, once hot, add the oil and 1 knob of butter. 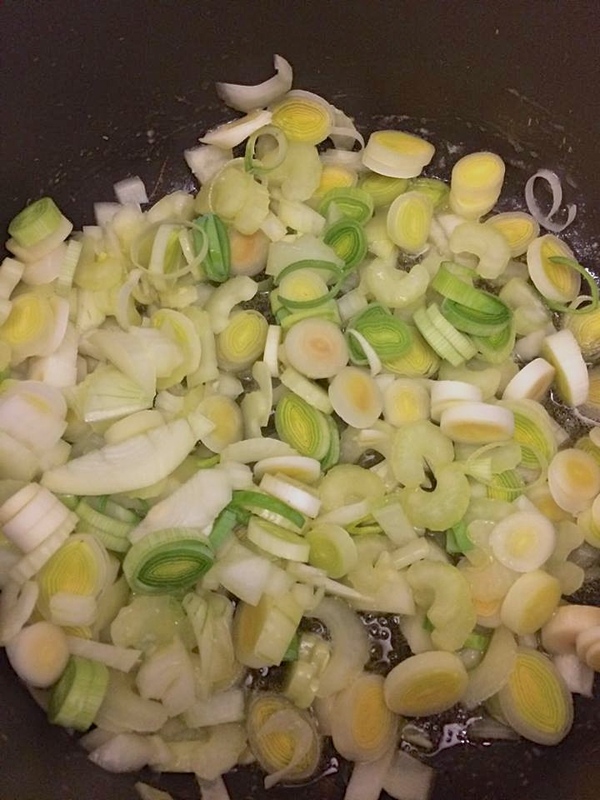 Once melted, add the onion, celery and leek. Sweat the vegetables, but do not let them get brown or caramelised. Once the veg has sweated for about 10 minutes and the mixture is translucent and soft, add the rice. Stir for a couple of minutes, coating the rice in the buttery mixture. Add a splash of sherry, stirring the rice until all the liquid has gone. Then add the vegetable stock, a ladle at a time. Only add the next ladle of stock once the previous one has been soaked up by the rice. This is really important and ensures a great texture and creaminess for your finished risotto. Once all the vegetable stock as been added, add the cheese, salt and pepper and stir to combine. Taste and season as you like, then add the remaining butter and chopped chives. Serve with some dark green veg, my favourite is cavolo nero!